The new European Masters tournament is the pinnacle of regional and grassroots League of Legends esports in Europe. The competition will be the leading tournament for semi-professional players in the region, pitting country against country and team against team. The Summer split finals will take place in Poland by ESL, with further details announced soon. European Masters is a significant step in ESL’s plans to support grassroots esports talent across the region, by filling the gap between national and international competitions. Teams qualify for the tournament through European Regional Leagues, most of which are ESL National Championships, allowing Europe’s rising esports stars to take the next step in turning professional. The first split of European Masters 2018 will take place in the UK. The tournament will run in three stages, kicking off with Play-Ins on 9 April to 12 April. This will be followed by a Group Stage on 14 April to 17 April, and Knockouts on 19 April to 22 April. The Grand Finals will take place on Saturday 28 and Sunday 29 April at the Haymarket Theatre in Leicester. Hundreds of League of Legends fans will watch the Grand Finals live, in the first esports tournament hosted by ESL in the newly refurbished theatre. The Spring split will be produced in partnership with paysafecard. 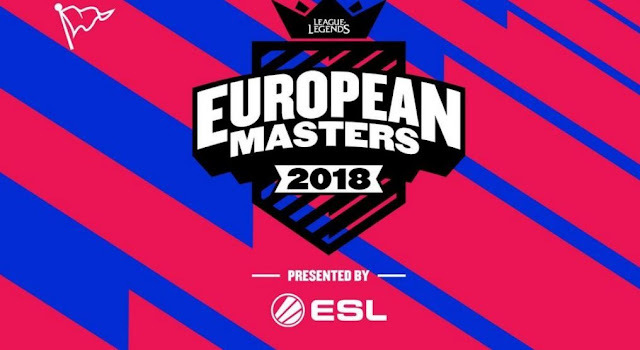 For more information on the League of Legends European Masters, visit https://www.eumasters.gg/ . For those travelling to Leicester, hotel and travel recommendations can be found at www.visitleicester.info . Tickets for the Grand Finals in Leicester, UK, are on sale at http://esl.pm/EUMTickets.